A St. Charles man with a history of drunk driving faces a fifth DWI in connection with a Missouri car accident that left him injured on June 19. Gary Scott Barringer, 50, was driving along southbound Highway 94 near Highway J in St. Charles County around 11:30 p.m. when the accident occurred. According to police reports, Barringer smashed his maroon Land Rover into a center median along the highway and was heading toward oncoming northbound traffic. When Barringer attempted to regain control of the vehicle, he overcompensated and flipped the Land Rover. The vehicle flipped five times, crossing back over all lanes of southbound traffic before stopping in a field on the right side of the road. Barringer was ejected from the vehicle and suffered moderate injuries. He was taken to SSM St. Joseph Health Center for treatment of his injuries. According to the St. Charles Sheriff's Department, several alcoholic beverages littered the scene of the St. Charles County accident. Barringer refused a sobriety test, admitting that he was drunk but insisting that he was not the one driving the car. He initially told police that another friend who was driving the car ran away after the crash. However, he changed the name of that alleged person three times during the course of questioning. Barringer has been convicted four other times for driving while intoxicated. He is now being charged with his fifth DWI, as well as for driving with a revoked license. Hundreds of drunk driving accidents occur in the St. Louis metro area every year. 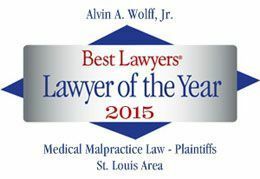 Repeat offenders are more likely to cause a serious or even fatal St. Louis drunk driving accident. If a drunk driver injured you or your loved one, contact us today for help with your injury claim.